Widely recognized as a groundbreaking text, The New Urban Sociology is a broad and expert introduction to urban sociology that is both relevant and accessible to the student. A thought leader in the field, the book is organized around an integrated paradigm (the sociospatial perspective) which considers the role played by social factors such as race, class, gender, lifestyle, economics, culture, and politics on the development of metropolitan areas. Emphasizing the importance of space to social life and real estate to urban development, the book integrates social, ecological and political economy perspectives and research through a fresh theoretical approach. With its unique perspective, concise history of urban life, clear summary of urban social theory, and attention to the impact of culture on urban development, this book gives students a cohesive conceptual framework for understanding cities and urban life. 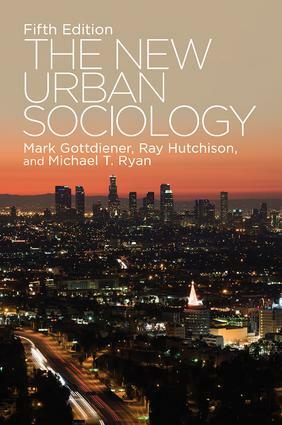 In this thoroughly revised 5th edition, authors Mark Gottdiener, Ray Hutchison, and Michael T. Ryan offer expanded discussions of created cultures, gentrification, and urban tourism, and have incorporated the most recent work in the field throughout the text. The New Urban Sociology is a necessity for all courses on the subject.